A garage mat gives you protection from the spills and leaks that can occur when you park your vehicle in your garage or in your shop. Vehicles, whether they are simply parked or you are working on them, will create a large number of stains on the flooring. This permanent damage can be avoided when you cover your garage flooring with a mat to contain these leaks and spills. 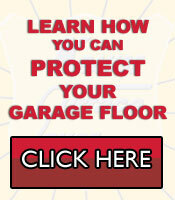 You no longer want to run water into your garage to keep the flooring clean with the garage floor covering. You’re tired of water that has frozen underneath the garage door, preventing you from opening it. Your garage flooring is starting to corrode from dirt, antifreeze, oil, gas, and salt. The floor drain in your garage is higher that the rest of the flooring, causing leaks and spills to settle on the flooring without proper drainage. Our Krauss Surface Saver mat has been designed to keep stains off the floor and on the mat. The ¾ inch raised edging of the mat gives it enough height to keep fluids and water from flowing to other areas of your garage. The edging has been tested to stand up to the weight of most vehicles without damage, as well as remain durable in most weather conditions. When you are not using the Krauss Surface Saver mat, it can be rolled up for storage. The light weight of the mat also makes it easy to transport from one place to another. No matter how big or small your garage is, or what type of vehicle you own, our Krauss Surface Saver mat will fit your needs. The mat is available in sizes 7.5′ x 19.5′, 7.5′ x 18′, and 7.5′ x 16′ and is made of a material that is a vinyl coated polyester weave. This polyester weave is then sprayed with a U.V. coating so the mat is protected from the sun, allowing it to be used either in your garage or on the driveway. We make ordering easy and simple by phone, fax, or email. We pride ourselves on taking care of our customers so that your order is accurate and all of your questions are answered. The Krauss Surface Saver mat is your answer to a messy and stained garage. When you want to protect the flooring of your garage or shop, make sure you contact us for more information and to place your order. We guarantee that our garage mat will be the ideal solution for messy and stained garage flooring.